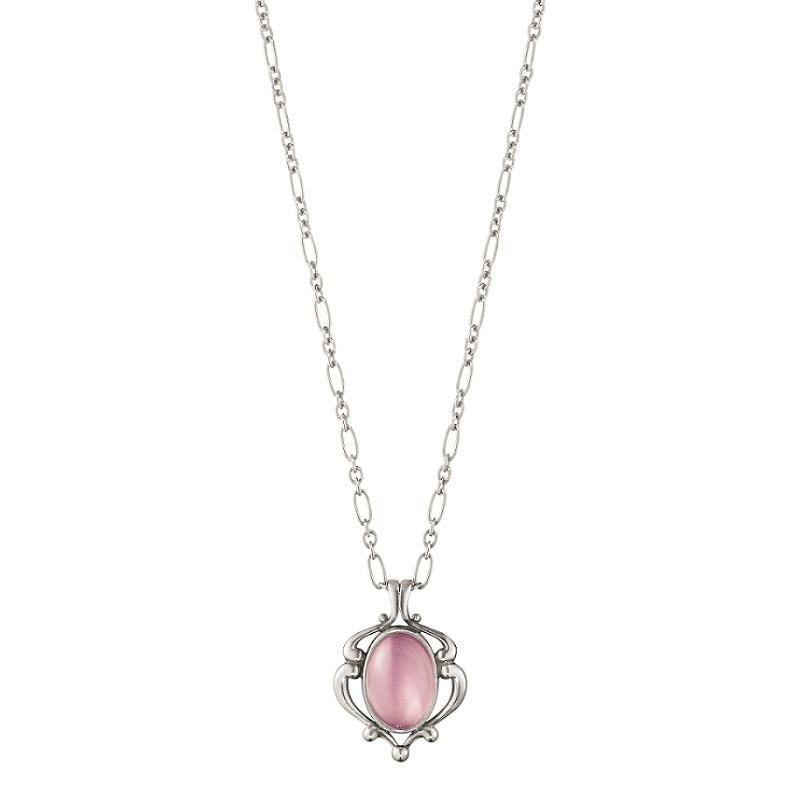 Capturing the sophisticated flair of classic Art Nouveau jewellery, the GEORG JENSEN Heritage pendant is a timeless piece of design history. Sterling silver curlicues surround a lilac quartz stone that symbolises love and calmness. The piece is inscribed with the year date on the reverse making it a perfect gift to commemorate a special event or anniversary. The pendant is crafted from oxidised sterling silver and a radiant lilac quartz stone. It is suspended from a 45cm long Figaro chain.